When it comes to sheerly for profit movie themed video games the Nintendo Game Boy wasn’t without its own abysmal versions. Of all the films released in 1996 someone thought Dragonheart was the most viable option for a video game adaptation. 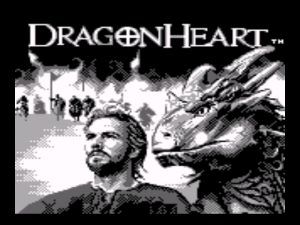 Though I’ve never seen the film I have seen enough to assume an amazing Dragonheart RPG could have easily been born, but alas Torus Games developed a competent, time wasting action adventure game that Acclaim published. The player takes the role of Sir Bowen, Dragonslayer extraordinaire, who was the sworn guardian of Einon, son of King Freyne. Einon was wounded while trying to save his father’s life while battling rebelling villagers. In order to save Einon’s life his mother, Queen Aislinn, took him to Draco, an evil dragon, who gave the prince half of his own heart. Although Einon’s life was restored, his heart, being half a dragon’s heart, was filled with evil that overcome Einon. Sir Bowen vowed from that day forth to slay all dragons until he found the one that turned Einon evil. 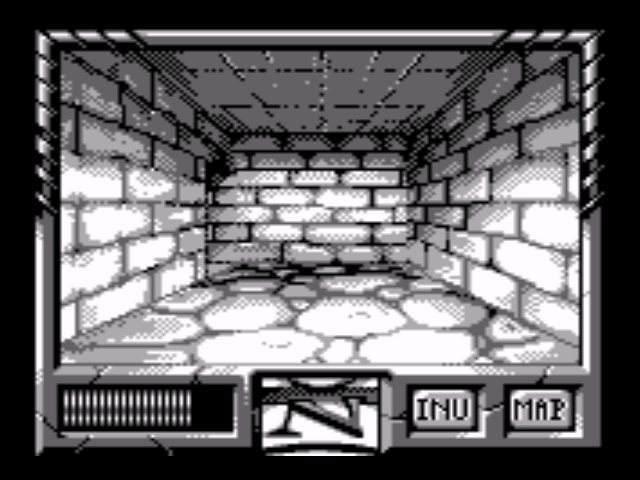 In each of the eight stages the player will start in an open field with a first-person view, much like Swords and Serpents, and have to navigate blindly until they find the map. 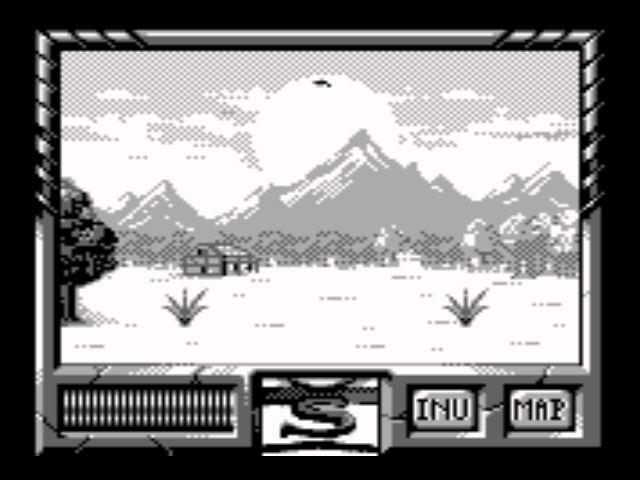 To use the map you must press Select and move the sword cursor over to the map icon on the bottom right of the screen, this will open a screen showing the whole stage. At first the map will be essentially blank, but as you find towns and points of interest they will be displayed upon the map for you to find easily. 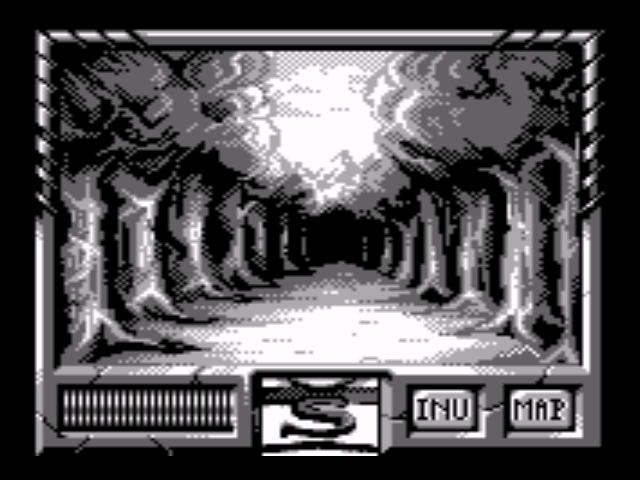 Within each stage the player will find towns with people who you may need to speak with, as well as random wanderers who may also have important information. 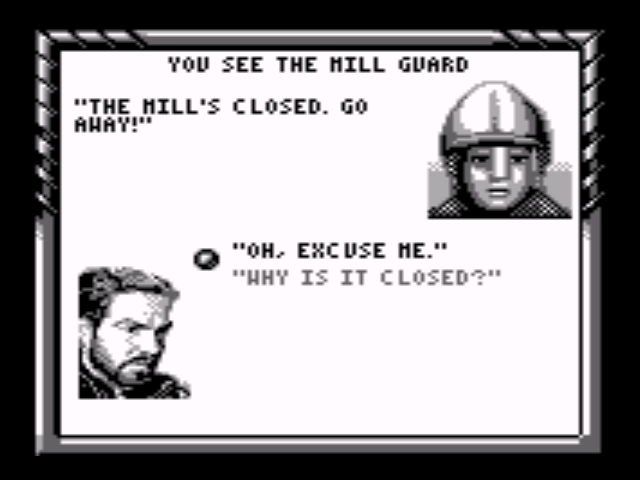 The player must interact with people and will sometimes be given dialogue choices that seem to make no difference to the overall goal. 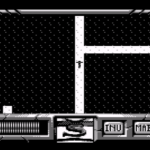 To add a little depth to the game the player will be given small tasks to accomplish which will ultimately unlock the final destination of each given stage. 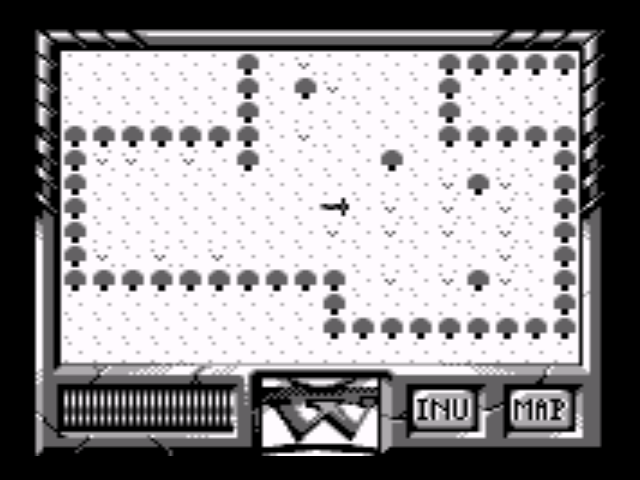 Upon entrance to the final destination you’ll once again need to navigate the maze and find the map. Once the map has been found simply open the map, follow it to the end and prepare for the final stage battle. 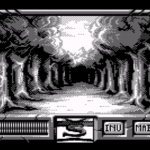 For the final battle of each stage the game switches to a side view of Sir Bowen and the final stage boss. 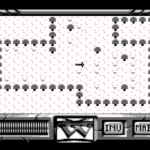 Controlling the battle isn’t exactly difficult, but it does feel overall clunky. 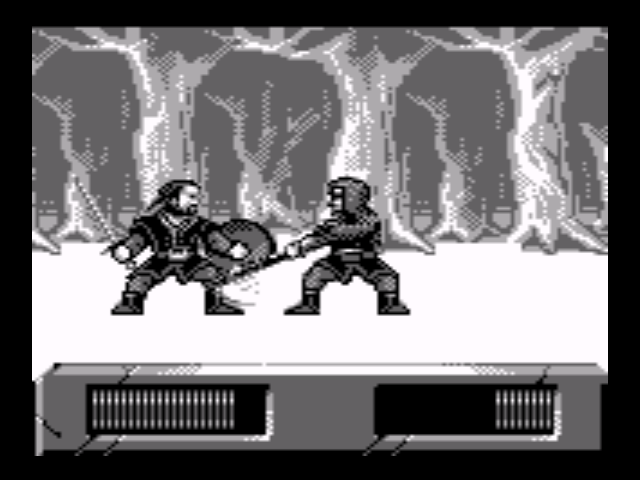 In battle Sir Bowen can either attack with the A button or use his shield to block with the B button, with the added bonus of being able to direct his shield high and low with up and down on the D pad. You can also move closer or farther away from the battle with left or right. Final bosses are mainly dragons, as Sir Bowen is a Dragonslayer out to slay dragons, but in the last stage you’ll be fighting soldiers and major story characters. Personally I found the dragons to be far more difficult as their fireballs are more difficult to predict, even though you can block them with the shield. Fighting human enemies is almost laughable. All you need to do is land one good blow and just keep spamming the attack button. 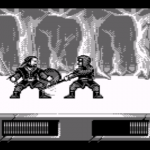 With each hit they will get knocked back but still continue to mindlessly move forward into your attack. This isn’t to say they’ll never attack, but as long as you spam the attack button you should easily defeat them. 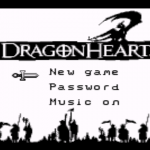 To save your progress Dragonheart offers a password system that is super easy to remember. Simply six characters, absolutely none of which are confusing like the letter O and the number 0. A password will be given after each stage, although the time given to write the password down seemed to me to be a bit too short, but the passwords are readily available online these days. 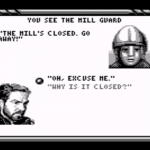 A few things that I found to be odd about Dragonheart was that when pausing the game you are presented with the option to quit by pressing B. I find this a bit dangerous because during my first time playing the game I was confused by even seeing the option to quit the game and accidentally hit it anyway. Another oddity, at least to me, was that inventory seems to be strictly for story items. 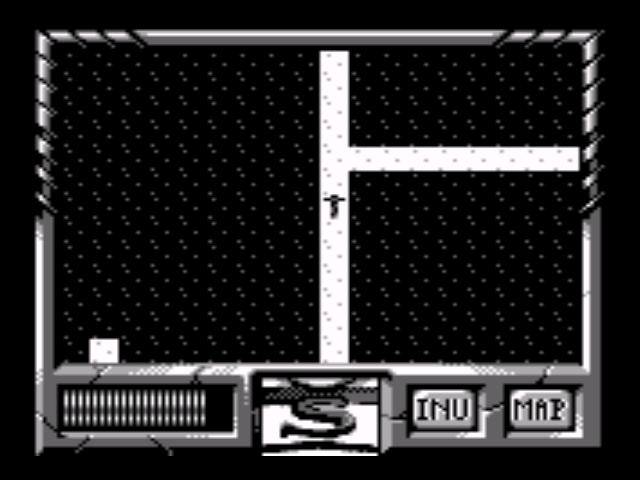 The player isn’t given any chance to purchase usable items such as potions to regain health, and pressing any button while in the inventory simply takes you back to the gameplay. At best Dragonheart is a single play through time waster, nothing exceptional or spectacular about it. The music is annoying, the battles aren’t very satisfying and the gameplay is a string of unrewarding tasks. 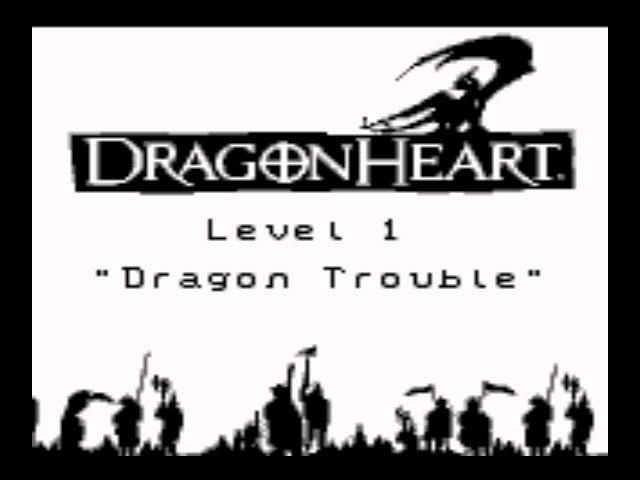 With a little more work it could have probably been a fun RPG or maybe a decent Legend of Zelda clone. The only good thing I can say about this game is that is seems they worked very hard on making the pictures of the characters look very close to the actors portraying them from the movie, which was nice to see.